Over the past few months, Israel has been increasingly castigated and blamed by President Obama and his spokesmen concerning their botched initiative to bring about a settlement with the PA. 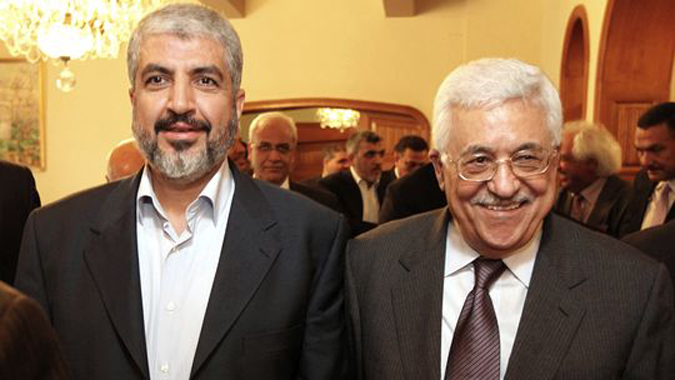 The downward spiral in relations escalated in recent weeks with the President’s ritual endorsements of Israel’s right to self-defense being linked with criticisms of its behavior. 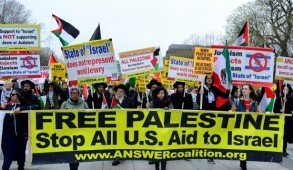 The U.S. is unquestionably Israel’s principal ally. 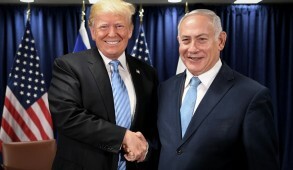 The American public and a bipartisan Congress remain overwhelmingly pro-Israel and, until this week, the US has maintained the military partnership and exercised its veto powers to defend Israel from biased resolutions at the UN Security Council. Israel is therefore reluctant to confront the offensive statements emanating from the White House and repeatedly undergoes motions of minimizing differences. Nevertheless, one would have expected a robust American Jewish leadership to publicly express its concern. Yet, other than the hawkish Zionist Organization of America, the Jewish establishment appears to have burrowed behind a curtain of deafening silence. 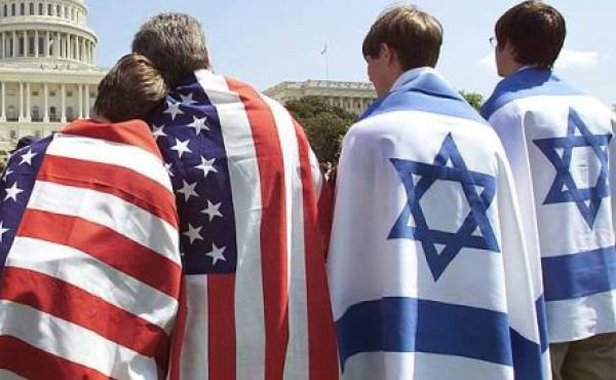 Ironically, committed American Jews are today more united in support of Israel than at any time since the Yom Kippur War. Even groups like Peace Now publicly expressed their support and partook in solidarity meetings. This, despite the fact that the left-wing media continued providing excessive exposure to anti-Israeli Jewish individuals and groups comprising a marginal fraction of the engaged Jewish community. American Jews today relate with shame to the events in 1944, when in order to appease then President Franklin Roosevelt, their leaders, headed by Rabbi Stephen Wise, failed to protest the failure to rescue Jews during the Holocaust. But over the past four decades Jewish leaders have earned a proud reputation of speaking up without fear or favor in relation to Jewish rights, aggressively combatting the demonization and delegitimization of Israel. Yet, in retrospect, American Jewish activism in our era has been uncontroversial – somewhat like motherhood and apple pie. The successful protest movements to alleviate the plight of Soviet Jewry or campaigns against anti-Semitism did not ruffle any feathers. There were occasional tensions relating to Israel but, aside from the Carter era and until the Reagan administration, Democrat presidents proved more favorable towards Israel than the Republicans. That was a source of gratification for most Jews for whom support of the Democrat Party had virtually become part of their DNA. Today the situation has changed dramatically. Whilst, overall, Americans have become considerably more pro-Israel, there has been an erosion of support amongst far left elements in the Democratic Party strongly committed to Obama. The debates over resolutions relating to Israel at the last Democratic Convention highlighted the emergence of intensifying hostility. Over the past few months, the attitude of the president and his administration towards Israel has dramatically deteriorated. 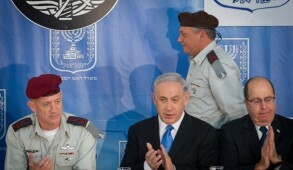 Not only was Israel unfairly blamed for the breakdown in the US peace negotiations with the PA. More recently, Secretary of State John Kerry shocked Israelis by attempting to displace Egypt with pro-Hamas Qatar and Turkey as mediators – a step which if not thwarted, could have been disastrous for Israel. President Obama has not treated Israel as befits an ally. The State Department condemned Israel for civilian casualties describing its actions as “disgraceful” and “appalling”. In contrast, the president referred to thousands of rockets from Hamas as “extraordinarily irresponsible” and even called on Israel to lift the blockade – without regard to security requirements. In effect he related to Israel and Hamas in terms of moral equivalency. 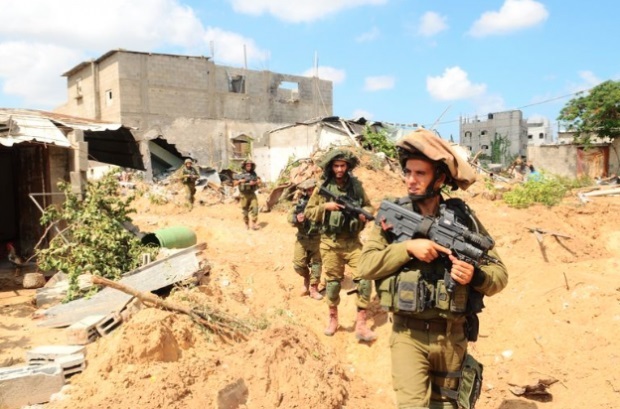 Regrettably, Obama’s condemnations set the tone for the rest the world to demonize Israel and encouraged Hamas to believe that continuing the war and sacrificing civilians would ultimately result in global intervention to force Israel to concede to its demands. This week the administration upped the ante to an all-time high by imposing cumbersome new bureaucratic restrictions on the provision of arms supplies. To do so now whilst Israel is engaged in a war that it sought desperately to avoid, reflects the depths to which U.S.-Israel relations have sunk. Yet no criticism of White House policy was publicly expressed by AIPAC, the Presidents Conference, the American Jewish Committee or the Anti-Defamation League. 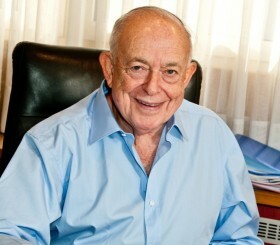 American Jewish leaders are certainly not indifferent to events in Israel. Presidents Conference leader Malcolm Hoenlein has a proven record of devoted and passionate commitment to the Zionist cause and during the war orchestrated many effective solidarity demonstrations on behalf of Israel. There is also no doubt that dedicated supporters of Israel like AIPAC, have been striving quietly to promote the case for Israel to the White House. What is difficult to accept is the reluctance to publicly repudiate the offensive statements concerning Israel emanating from President Obama and White House spokesmen. In the past some Jewish leaders have argued that by speaking up, they would be denied access to the White House. Today that argument is inapplicable because meaningful access to Jewish leaders is probably more limited than it has been in the past half-century. Indeed left-wing anti-Israeli groups appear to have a better entree to the Administration than mainstream leaders. It seems that the Jewish leadership has decided that confronting President Obama would only further polarize the situation, encouraging him to be even more critical towards Israel. 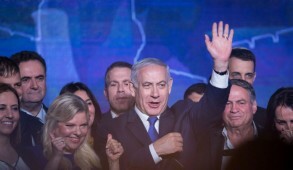 There were also fears that criticizing the White House could result in some Democratic legislators abandoning Israel in favor of their president. There are also concerns that after the November congressional elections, Obama will feel free to do whatever he wishes until his term expires. Thus, they decided to avoid criticizing the President and concentrate on silent diplomacy and strengthening the relationship with Congress. Admittedly, deciding where to draw the line between silent diplomacy and public action is complex and frequently creates dilemmas for Jewish leaders. Even in relation to Soviet Jewry, initially there were major arguments about the potential terrible consequences protests could inflict on Soviet Jews. In most cases, a twin track approach was adopted. But, in recent years, American Jews have prided themselves on speaking out and have even derided other Diaspora Jewish communities for remaining silent. Despite its concerns, the American Jewish leadership is failing to fulfil its mandate if it remains silent when the White House makes unfair hostile statements against an ally which is locked in a bitter war with genocidal terrorists. In the wake of the recent inexplicable silence by the Jewish leadership regarding the New York Metropolitan Opera’s performance of the anti-Semitic “The Death of Klinghoffer”, questions are being raised as to whether maybe Jewish leaders are unconsciously drifting back to the “trembling Israelites” approach of the 1940s. There is an urgent need for soul-searching by the American Jewish leadership. Failure to respond to such provocative outbursts from the White House sends a message of weakness and suggests that the Jewish community no longer retains the will to confront hostility which could lead to a significant erosion of American Jewry’s political influence. American Jewish leaders are undoubtedly motivated by good intentions but they should remind themselves that expressing dissent and protest against the policies of a President is their democratic right and can be conveyed with respect and dignity. Their ongoing public silence is likely to be condemned by future historians.